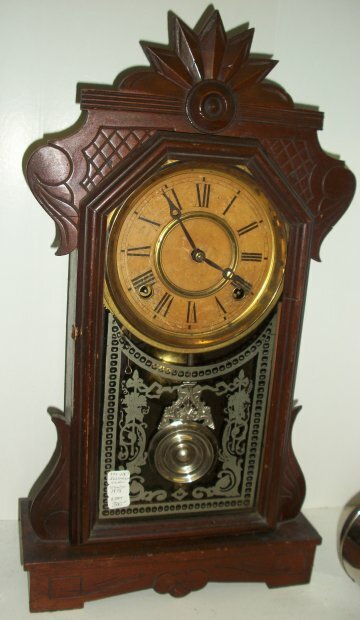 This walnut kitchen was made by the E. Ingraham clock company. 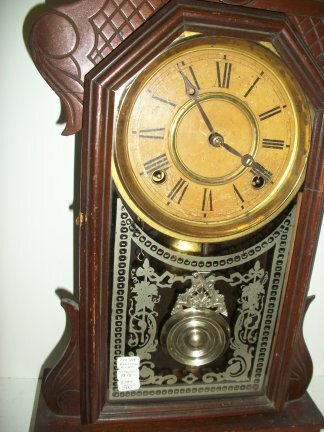 It is time and hour strike on a bell. 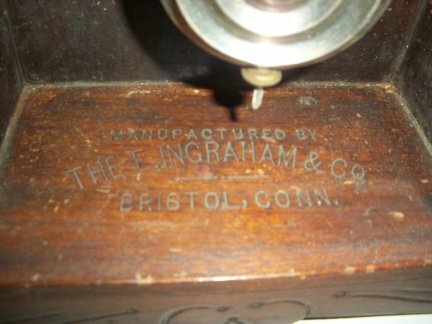 Closer view of bottom of the clock where it is stamped in the wood..